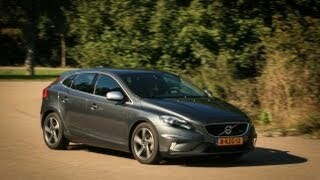 Volvo presented a sportier version of the V40 - the V40 R-Design - at the Paris Auto Show. 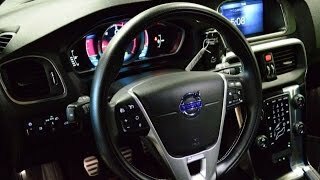 Showcased in stunning Rebel Blue color, the Volvo V40 R-Design is a perfect match for those who want a head-turner that radiates a truly stylish and dynamic look. 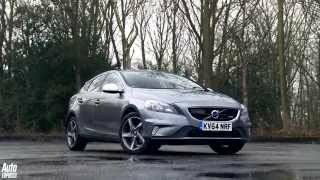 The updated exterior elements in R-design like re-profiled front bumper, new front grille in silk-metal finish, chrome exhaust pipes and 17" alloy wheels help in giving the Volvo V40 an aggressive appearance. The visual promise of a life in the fast lane is confirmed by the driver-centric interior and an intense, agile driving experience with performance up to 254 horsepower.